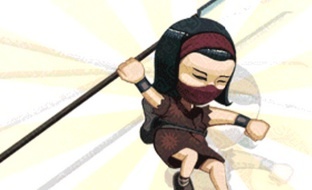 Square Enix released Mini Ninjas for iPhone and iPad, a fun endless runner that plays similar to Temple Run 2 and Sonic Dash, albeit from a side-scrolling perspective. To keep you on the path to greatness, we conjured this cheats and tips guide in the hope of teaching you the finer points of the game and preventing you from reaching death as long as possible. -Although you begin the game as Hiro, you'll eventually come across different ninjas trapped inside cages. Freeing these warriors lets you temporarily control one of them. Futo smashes rocks with his hammer, Suzume attracts collectibles and Kunoichi possesses superior jumping and gliding ability. Keep in mind that you eventually return to being Hiro. -Collect coins (referred to as Koins), as you'll need this virtual currency to purchase outfits, weapons, potions and spells in the Dojo. -Don't forget to buy Kuji Spells. These four magical abilities give you an edge, from a Tornado Boost that propels you hundreds of feet to a lightning storm that strikes down adversaries. You can only equip one at a time. -Kill enemies to fill your Ki energy meter. You cannot use Kuji Spells with doing this. -Unused Ki energy carries over to the next run. -You can kill enemies by landing on their heads. 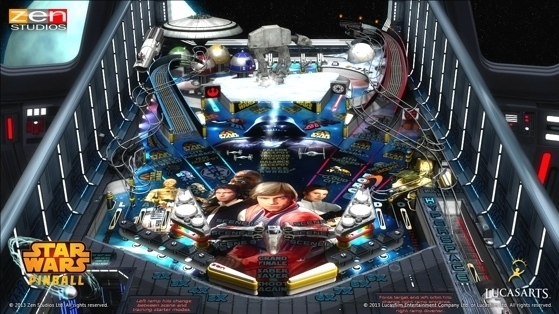 -You are temporarily invincible at the start of each run and whenever you switch characters. Notice the aura around the ninja. Flickering means you'll soon be vulnerable to attack. -Quickly tap the screen to make shorter jumps. This will prevent you from accidentally falling onto spikes or fire that lies ahead. -Jump over crates and explosive barrels, or smash through these objects using your sword. -Collect valuable ingredients to craft spells, which you can then equip while inside the Dojo. These mushrooms, flowers and crystals (when combined) produce magic that will aid you in combat. Death Banisher, for instance, lets you restart from the point of death, while Fireproof Formula makes you impervious to flame. There are 11 spells in total, and you can equip two at a time. -It takes time to craft spells, and the quickest way to gain early access is to spend Koins. -Need lots of Koins in a hurry? Purchase more from the Dojo in the following amounts: Double Koins ($1.99), 13,500 Koins ($2.99), 30,000 Koins ($5.99), 65,000 Koins ($11.99), 150,000 Koins ($24.99). You'll also find options to unlock all of Hiro's friends ($0.99) and instant crafting ($0.99).